Summertime is supposed to be fun. School is out, the pool is open and there is plenty of time to work in a road trip or a family vacation. While summer can certainly be fun, however, it can also be stressful. The everyday pressures of your professional life may not end, to say nothing of relationships, finances and health. In fact, summer can be about as stressful as any other point in the year. Meditate. Even ten minutes each day of stillness and quiet concentration can help lower your blood pressure, clear your mind, and remove your stress. Take some time in the morning to enjoy the outdoors, and sit and meditate somewhere in your back yard or another favorite outdoor spot. Do some yoga, which is ideal for relieving tension and stress—both physical and emotional. Take a yoga class at your local YMCA, or—once again—head outside for some sunny, summertime stress relief! Find a new outdoor hobby. If there are two things that always lower stress, they’re exercise and sunshine. So, take up walking, jogging, cycling, swimming, or whatever else sounds appealing, and then stick with it! Relax! There is something to be said for a day spent lounging poolside. Go by yourself, perhaps with a good book or some favorite music, and just pamper yourself for the day. Stress relief is imperative for maintaining your emotional health—and your recovery. 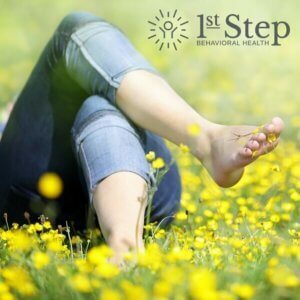 Find a stress management technique that works well for you, ideally one that gets you out in the sunshine, and invest yourself in it during these summer months. PreviousPrevious post:Recognizing Addiction Risk FactorsNextNext post:Do You Have a Plan for Stress Management?